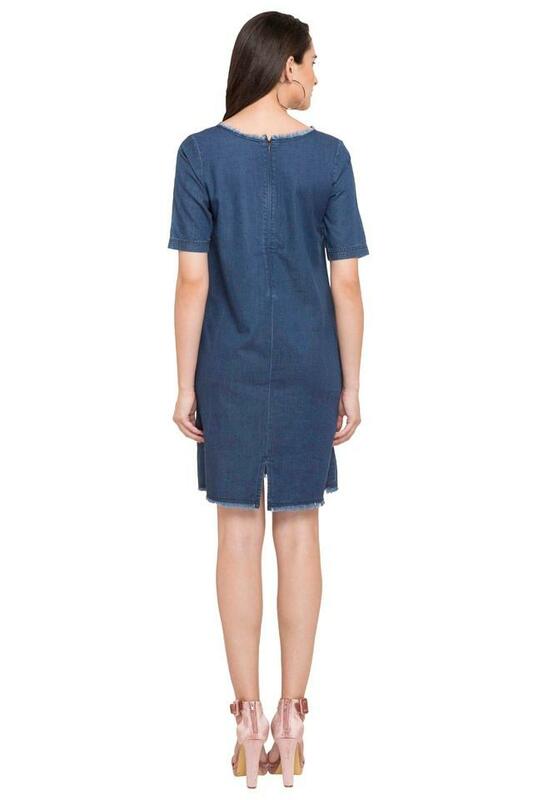 Give your casual wardrobe a stylish lift with this shift dress from Flaunt. Fashioned using good quality fabric, this dress will not fail to catch your fancy at a single glance. Featuring a round neck, half sleeves and embroidered pattern, this dress holds an elegant appeal. 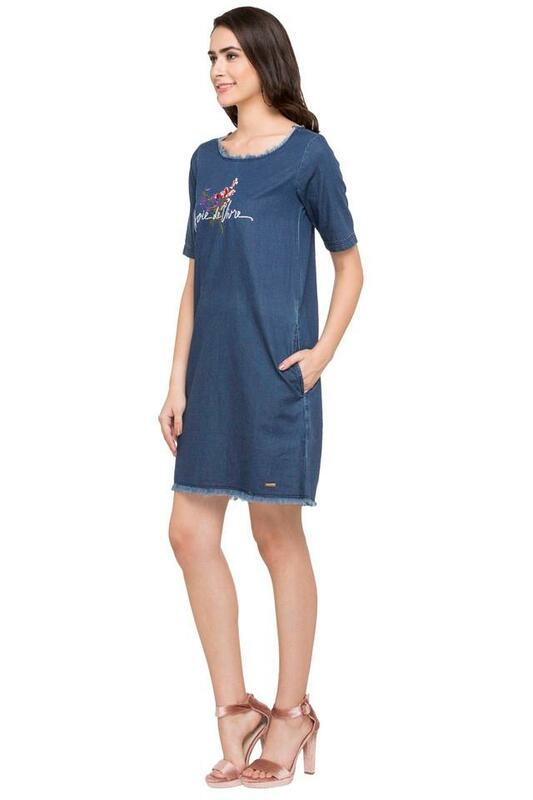 Lend yourself a cute look by wearing this shift dress which flaunts a classy design. You can team it with a pair of wedge sandals to hit the road in style.